Description: This plant has very unique flowers which are supposedly shaped like monk's hood. Poisonous: Extremely poisonous. Do not ingest any amount. The root is the most dangerous. 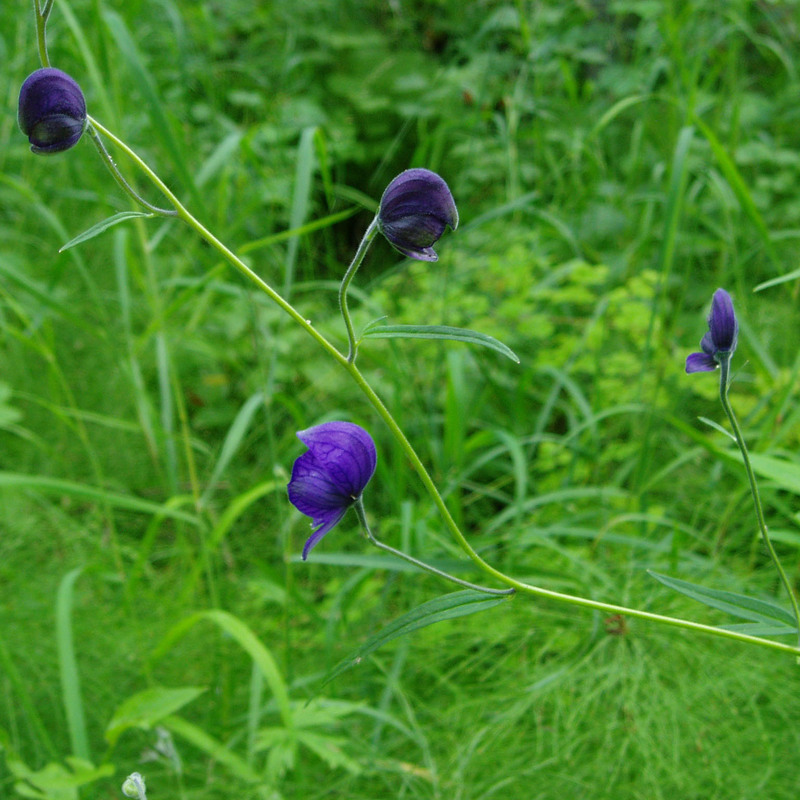 Other Notes: A species of Monkshood (A. ferrox) from Nepal is considered to be the most poisonous plant in the world. Even touching or smelling this plant can cause serious problems.